Sound has always been considered a direct link between humanity and the divine. The ancient mystery schools all taught their students the use of sound as a creative and healing force that bridged the different worlds of life and consciousness. Now, Sacred Sounds reveals to today's seekers how to tap into the magical and healing aspects of voice, resonance and music through a varity of methods including working with thoughtforms, astrological correspondences, and the chakras. Learn how to use sound for health, balance, and enlightenment using the bardic traditions of magical storytelling, poetry and song. Once, healing, song and sorcery went hand in hand. On a physical level, sacred sound techniques can alleviate aches and pains, lower blood pressure and balance hyperactivity in children. On a metaphysical level, they can induce altered states of consciousness, open new levels of awareness, stimulate intuition and increase creativity. 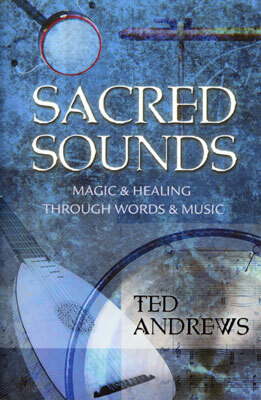 Discover how to transform your life using the forgotten art of sacred sound.